Fun boxing fitness session with 12 challenging rounds of boxing combinations that work to the BEAT of the MUSIC! It will leave you exhilarated, strong and ultimately you will burn up to 1000 calories per hour. FEEL THE MUSIC… what better way to burn those calories than to exciting tunes that gets the body moving and the heart pumping from the word GO! 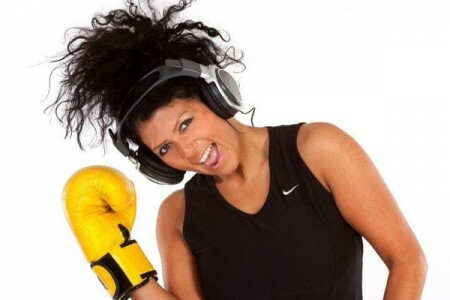 Gail Nicholls Fitness are the registered owner’s and director’s of Boxerbeat. We design the program’s, the music set list and the whole concept of Boxerbeat… bringing you the latest and most current and FRESH fitness program’s to date!